Should you wish to end your tenancy with Williamsburgh Housing Association you must provide us with at least 28 days written notice by completing our Tenancy Termination form. Your tenancy end date will then be calculated from the date in which we receive your signed notice, not the date it was written, so please be aware of this if you are sending your notice to us by post. If you have a joint tenancy, both parties must sign the form in order to allow us to accept the termination notice. Once your notice is received you will be contacted by a member of the Rents team in order to arrange a pre-termination inspection. This involves an officer attending your home to assess the property condition, advise you of the repairs hat you will be required to carry out before leaving the property and to discuss your rent account balance. Should you have any arrears on your account you will be required to pay these in full prior to moving. These details will be povided o you in writing. Should you fail to carry out the repairs requested of you prior to ending your tenancy, you will be recharged for the cost of them. We will expect you to remove all personal belongings and to leave the property in a clean and tidy condition. 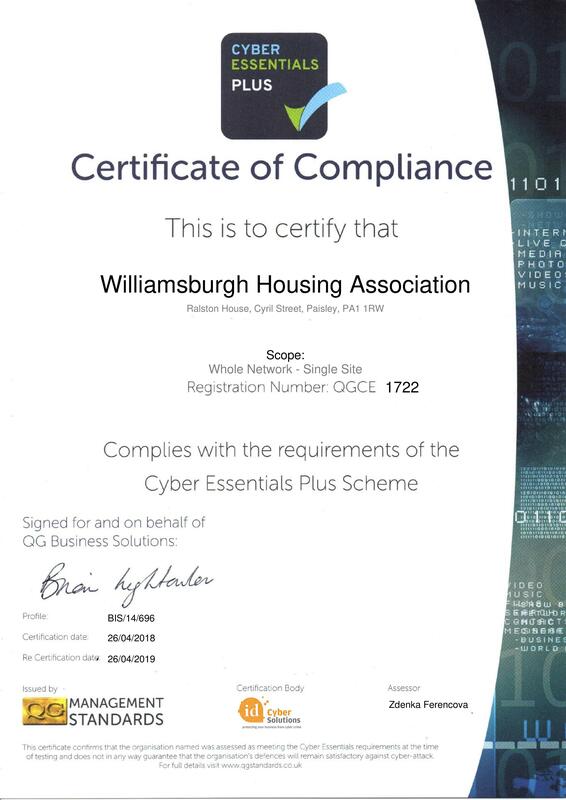 Again, we will recharge you for any costs incurred by Williamsburgh Housing in order to return your house to a standard which is suitable to let. You will remain liable for all rent due up to your tenancy end date, regardless of whether you leave the property prior to this date. You must return all sets of keys to your property on, or before your tenancy end date. If we do not receive your keys by the agreed date, a charge will be levied on a daily basis until the keys are returned. Send a signed letter.This should detail your intention to vacate your property, the date you wish to move, your forwarding address and your ongoing contact number(s). Remember we calculate your tenancy end from the date your letter is received, not the date it was posted. If it is a joint tenancy, it must be signed by both tenants. Complete our Termination of Tenancy Form. Print out, complete, sign and return the form, either by email, post or by hand to our office. Please remember if you choose to post your form, we calculate your tenancy end from the date your signed form is received, not the date it was posted. Send an Email. Please send your intention to terminate email to admin@williamsburghha.co.uk marked FAO of Rents team. Please be aware if you choose to terminate your tenancy via email you will also be required to confirm in writing, as we require a signed document. We can however take the date of your email as the first day of your notice, providing a signed letter or termination of tenancy form is received within a few days.